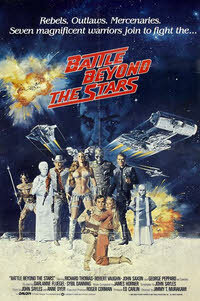 I recently caught The Last Starfighter on TV, which led to a discussion with my friend Phil about the film Battle Beyond The Stars, which as it happens was also on TV around the same time but I happened to miss. I certainly remembered borrowing this film from the video library several times as a child, but I remember very little about it, so I was pleased when Phil came to the rescue with his copy of it on DVD. Cheers mate! Before re-watching the film, my over riding memories of it were that it was a bit like Star Wars (like so many films were back then), and that it starred John Boy Walton (Richard Thomas) and had some space cowboy character in it. So I popped the disc into my player to begin my journey of rediscovery. Up pop the menus accompanied by a piece of music that at once felt stunningly familiar to me, and there’s a picture of John Boy and a cowboy character. So far, so well remembered then. The film begins with the peaceful inhabitants of the planet Akir being invaded by the evil Sador (John Saxon) and his Malmori warriors. Sador tells them that unless they bow down to his demands he will destroy the planet with his Stellar Converter (Death Star anyone? 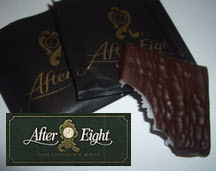 ), and to prove his intent goes about killing a few innocents just for good measure. Most of the Akira believe they are doomed, but young Luke, sorry, John B… I mean Shad, says that he will take the planets only space craft, powered by a computer named Nell, on a mission to go and recruit some mercenaries to help the Akira defend themselves. 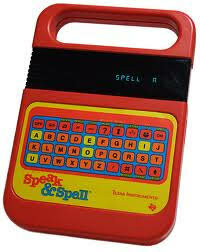 The Speak & Spell is one electronic toy that anyone old enough to remember the original theatrical release of E.T. will definitely remember, if only because the film used one to great effect when E.T. builds his device to communicate with his spaceship. Created by Texas Instruments in 1978, the Speak & Spell became one of the most recognisable and popular educational toys during the 1980s. As its name suggests, it was intended to help children learn how to spell. Spelling is one of those areas that was hard to turn into a toy, since it’s not like you could print “Spell Librarian” on a card and give it to a child, since they’d then have the correct spelling right there in front of them. Again, as the name suggests, this problem was solved by making the toy speak. Speak & Spell used a technique called speech synthesis in order to make itself heard. This was a very new area of technology back when the toy was created and was not without its flaws (indeed, even today synthesised speech is quite often blatantly obvious due to mispronounced words) so whilst it was incredibly clever, it was also not exactly that easy to be able to make out what word the device was actually asking you to spell. You often got quite a few wrong answers simply because you were entering the correct spelling of the wrong word. If you want to hear what I’m talking about then head over to the Speak & Spell Online site, which features an emulator of the Speak & Spell which whilst it may not be functionally complete (its missing game modes for example) it sounds exactly like the original. Back in 1984 the idea of an animated show aimed primarily at adults would have been quite a hard sell to most television networks, let alone one which was made using puppets, so the fact that one of the most popular and hard hitting comedy shows of the late Eighties and early Nineties featured a cast made from latex is perhaps surprising. 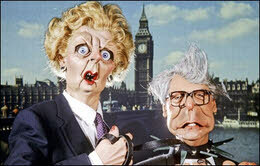 Spitting Image was the show in question, and it made household names of its creators Peter Fluck and Roger Law, better known simply as Fluck and Law. The duo had previously been best known for providing topical illustrations, often used plasticene figures, for newspapers and magazines. The premise was simple enough. It took well known figures of the day, mostly from the world of politics, turned them into grotesque looking caricatures, and plonked them into situations which would make their real life counterparts squirm, quite often because what started as a joke somehow often ended up being closer to the truth that was perhaps first thought. Whilst many of the politicians and celebrities portrayed in the programme would publicly say how disgusted they were with the appearance and escapades of their rubber doppelgangers, many also realised that appearing on the show was something of a badge of honour, and quite often could possibly help rather than hinder their perception with the general public. We human beings are a funny bunch. Everyone likes to think they are unique and have their own mind, yet at the same time there’s nothing we like more than being part of a group, which explains why so many people end up getting caught up in the rage for the latest must-have fad item. 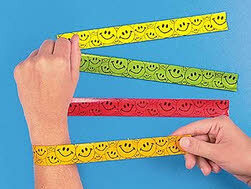 One such fad fashion accessory popular in the late Eighties was the Slap Bracelet (also sometimes known as Snap Bracelet), which became a craze that both girls and boys got caught up in, though for possibly different reasons. The Slap Bracelet consisted of a piece of springy metal wrapped in fabric. It could be straightened out into a long thin rectangle, and then wrapped around the wrist (or any other item for that matter) simply by flicking it sharply at it. On contact the springs would coil the bracelet around your wrist, making it fit perfectly. For girls the Slap Bracelet was seen as a cool new fashion item. It was available in many different colours and designs, and most importantly was cheap, so you could have a whole collection of them to co-ordinate with your wardrobe. For boys however the appeal was probably more in the snappy action of the bracelet. Boys being boys, the act of performing the slapping action tended to get a bit over zealous, and so it wasn’t long before schools across the land started banning the Slap Bracelet. I don’t know if anybody was ever badly injured by one of them (I wouldn’t have thought so) but I’m sure there were more than a few instances of slightly smarting arms, wrists and other bodily parts. The Eighties was without doubt the age of the home computer. Now we might just be limited to two real choices for a computer in the home (either a PC or an Apple Mac) but back then there were more different computer systems available than you could shake a stick at. For most of the Eighties, in the UK at least, there were four main contenders – the Commodore 64, the ZX Spectrum, the Amstrad CPC and the BBC Micro – but there were many more besides including the Dragon 32, the ZX81, the Vic-20 and today’s spotlighted machine, the Oric-1. The Oric-1 was created by UK computer firm Tangerine Computer Systems, although it was marketed under the company name of Oric Products International. It was aimed fair and square at the ZX Spectrum end of the market, as it was of a similar size and shape, and came in both 16K and 48K versions, just like the Spectrum did, and was even sold for just about the same price. It did also improve on the Spectrum in many ways too. First it had a better keyboard than the original Spectrum (although that wasn’t really that hard an achievement!) although it has to be said the keys were a lot smaller in size. It had better sound capabilities and a higher resolution screen too. Not to be confused with the now awesomely popular iPhone (blatant plug – don’t forget to download our free FaceMaker iPhone app!) the British Telecom InPhone wasn’t so much a particular handset, or even a range of handsets, it was actually primarily a wall socket! It may seem hard to get excited about a wall socket (hence the over the top advertising campaign – see below) but it was a very forward thinking idea. Prior to this a telephone was connected directly to the wall, meaning it couldn’t be moved around the house (indeed you probably only had a single telephone in the house), and if the phone itself broke for any reason (probably unlikely, but possible) you’d need an engineer to come out and wire up a new telephone for you. So along came the InPhone system, and suddenly not only could we have multiple spots around the house where we could plug in a phone, we could more affordably have a telephone in every room of the house (if we so wished of course) and change our handsets too. In the years to follow it also meant that getting your computer online became a simple matter of connecting your modem to the wall socket. Imagine if we had still had to use one of those ridiculous acoustic coupler modems like Matthew Broderick used in WarGames. The other day I watched The Last Starfighter, which is a film that somehow, I’m not quite sure why, I’ve never managed to see before. 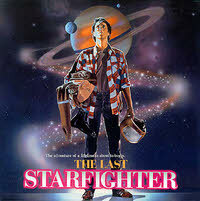 The Last Starfighter is best known for being one of the first films to extensively use computer graphics to provide the special effects, and it was always this film and Tron that were the standard bearers for many years. Whilst a modern games console could easily recreate graphics of the same quality today in realtime, back then this was a new technique and the end results were the state of the art. A quick plot recap then. Alex Rogan is a teenager who lives and works on a trailer park in back-of-nowhere America. He’s bored with his life and desperately wants to leave to go to University and take his girlfriend Maggie with him. The only thing he has to occupy his time is an arcade game called Starfighter. Alex becomes quite adept at the game, which it turns out is actually a training simulator for a real space fleet called the Rylan Star League, who are at war with the evil (of course) Ko-Dan Armada. Alex is whisked away in a space craft (which looks stunningly like a DeLorean with a big chunky extension on the back) by a chap name Centauri and is told he has been chosen to become a real Starfighter. Alex is shocked by all this, and asks to be returned home. Whilst Centauri takes him back, the Ko-Dan Armada launch an attack which kills all the other Starfighters.